Continue scrolling to view additional product information including usage suggestions. 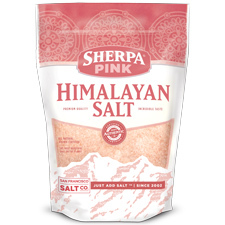 Our best-selling Sherpa Pink® Himalayan Salt is infused with rich, aromatic garlic to create a delicious salt fusion that’s bursting with fresh, savory flavor. 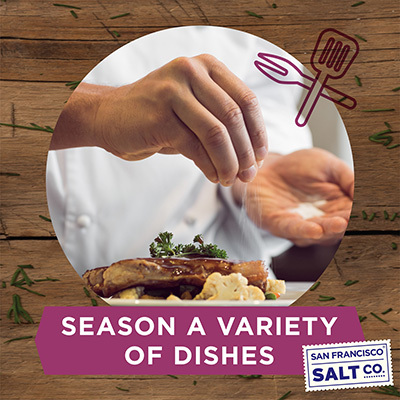 Himalayan Garlic Salt is the perfect go-to for expertly seasoning meat, veggies, potatoes, pastas, breads, dips & sauces with the perfect balance of salty and garlicky goodness. With pure, simple ingredients, our Garlic Himalayan Salt is the perfect addition to any savory recipe! THE ULTIMATE HIMALAYAN SALT BASED GARLIC SALT: Our 100% natural gourmet Garlic Himalayan Salt is the perfect go-to for expertly seasoning meat, veggies, potatoes, pastas, breads, dips & sauces with the perfect balance of salty and garlicky goodness. BENEFICIAL TRACE MINERALS: Pink Himalayan salt is considered by many to be a healthier alternative to "standard table salt" as it contains a wide assortment of trace minerals essential to our health and well-being. The health benefits linked to Himalayan Salt are elevated when combined with garlic, one of the world's healthiest foods. 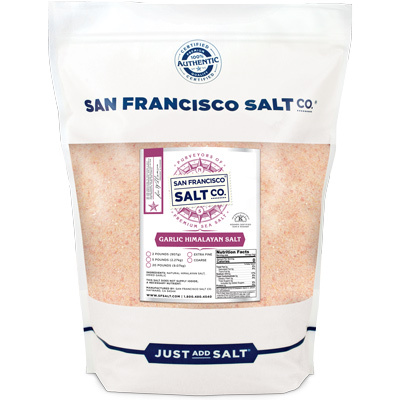 CLEAN & SIMPLE SALT BLEND: We believe there's beauty in simplicity, which is why our Himalayan Garlic Salt contains only two pure & simple ingredients: Authentic Himalayan Salt and Granulated Garlic. 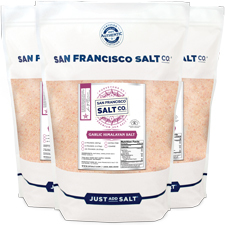 Unlike many Garlic Salts on the market today, our Garlic Himalayan Salt is free of anti-caking/free flowing agents, preservatives, gluten, dairy, soy, sugar, corn syrup, modified food starch, hydrogenated vegetable oil, and MSG. 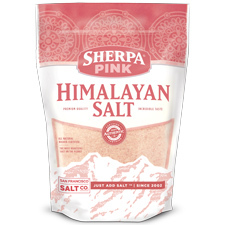 MADE WITH 100% NATURAL SHERPA PINK HIMLAYAN SALT: Our Garlic Pink Himalayan Salt is Kosher Certified and Non-GMO. We ONLY import the highest quality food grade Himalayan salts and package in our U.S.A., GMP certified packaging facility that is 3rd party audited, by SCS Global. ORIGIN - The Himalayas & China. DESCRIPTION - Natural & Certified Authentic Pink Himalayan Salt blended with natural dried garlic. We import only the highest quality food-grade Himalayan salts straight from the source and package them in our U.S.A., SQF Quality code compliant facility. GRAIN SIZE - Extra- Fine Grain (0-0.5mm). 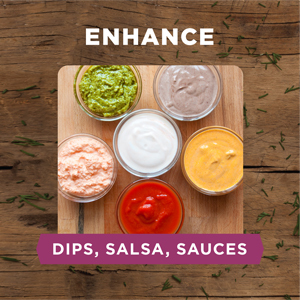 Preferred choice for sprinkling directly onto food/cooking. 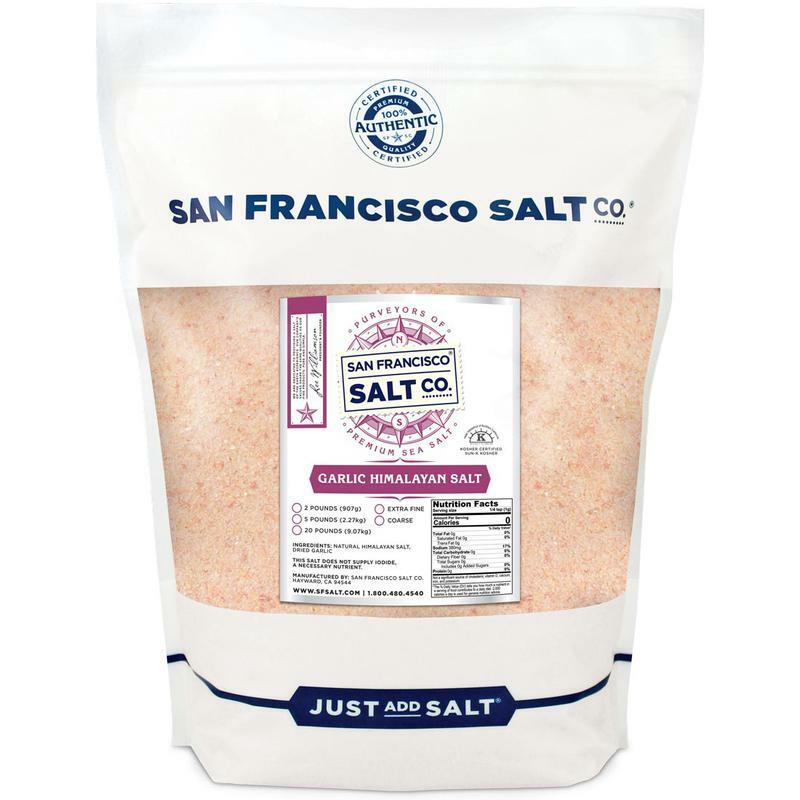 PROPERTIES - Our 100% Natural Himalayan Garlic Salt is Kosher Certified, Non-GMO, and does not contain any MSG, Soy, Gluten, Dairy, anti-caking agents, artificial colors, or additives. INGREDIENTS - Natural Himalayan Salt & Dried Granulated Garlic. 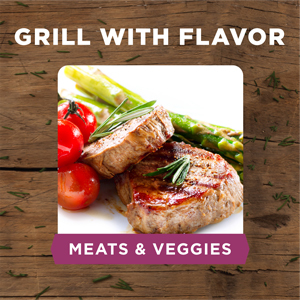 Intensify the natural flavor of meat by using Garlic Himalayan in marinades, dry-rubs, and as finishing salt. 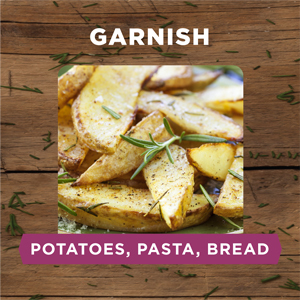 Create resturant quality Garlic Bread, Pastas, and Fries with Himalayan Garlic Salt. 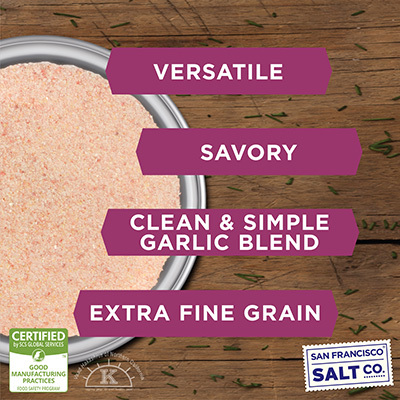 This classic salt blend adds delicious, fresh garlic flavor to dips, salsas, sauces, and more!